I like comics. They're wonderful. While the modern world makes it difficult for local shops to maintain the footprint they once did, online distribution has made it insanely easy (and cheap!) for major and minor artists to gain a following and make money doing it. However, is digitally reproducing static artwork on a powerful, portable computer really the best we can do? Narr8 doesn't think so. Of course, this app is not without its problems. I tried it out on my Nexus 10 and was completely unable to load multiple episodes of Spin. Which is unfortunate because it takes an awful long time to download some of these things. Loading them up on the Nexus 7 worked just fine. Still, I would've preferred to read on the best screen I own. Hopefully these bugs can be worked out. Narr8 is free on the Play Store. SAN FRANCISCO, CA--(Marketwire - Feb 19, 2013) - Digital entertainment publisher NARR8announces today the launch of the NARR8 application on Android™ smartphones and tablets. 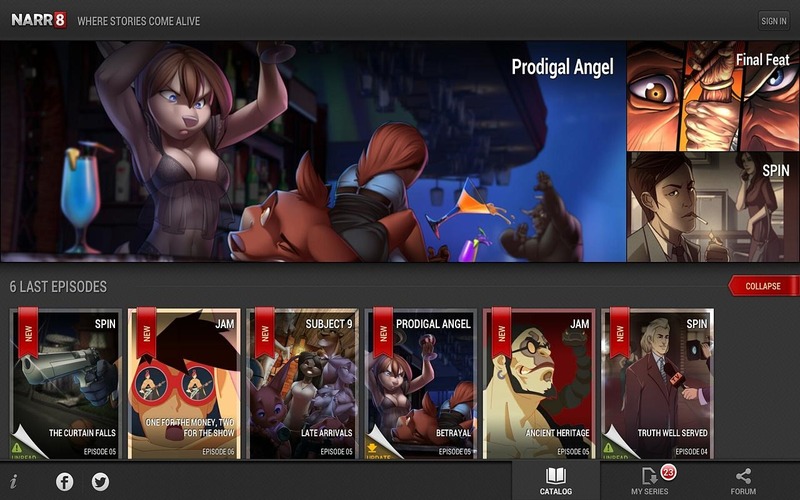 NARR8 is a free application available worldwide that delivers explosive and original multimedia series in the form of dynamic motion comics and engaging, interactive series across an extensive offering of content genres. The app offers a huge variety of compelling fiction and nonfiction, all of which springs to life with a tap of the touch screen, adding lively animations, special effects, and full music soundtracks that take the experience of reading stories to an entirely new level. Currently, NARR8's creative content studios have already created motion comics, interactive novels, and interactive nonfiction articles in such genres as superhero comics, sci-fi, fantasy, video games, and horror, along with popular science and world history -- with many more additional series in completely new genres to come. 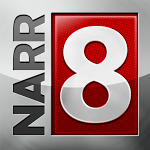 "With the launch of NARR8 in November of last year, we saw great success and reception from within the iOS community. Quickly, however, we discovered that many people who did not own an iPad® device were eagerly awaiting our launch on other platforms. And so, we are pleased to join the rapidly growing Android community, and are planning to grow even further in the next few months," said Alexander Vashchenko, founder of NARR8. NARR8 uses a proprietary HTML5 engine that pushes the boundaries of the reading experience. Devices running Android 4.0 or higher will be able to experience this seamless integration of high-quality art, animation, and sound in each series. Series content is presented in constantly updated, episodic format, with the most recent addition being an official adaptation of bestselling fantasy author Vadim Panov's "The Secret City." As an interactive reading experience with elements of gamification, "The Secret City" not only expands upon the technological capabilities of NARR8, but also broadens the app's already-extensive catalogue as the first series adapted from an existing intellectual property. The Android application will initially launch with motion comic content, and will be updated with the remaining series content shortly afterwards in the next few weeks. NARR8 is free to download through Google Play.